This could be the largest installation of MCM’s ever. At least 24 MWM woofers were employed. We suspect that Hibino Sound was involved. 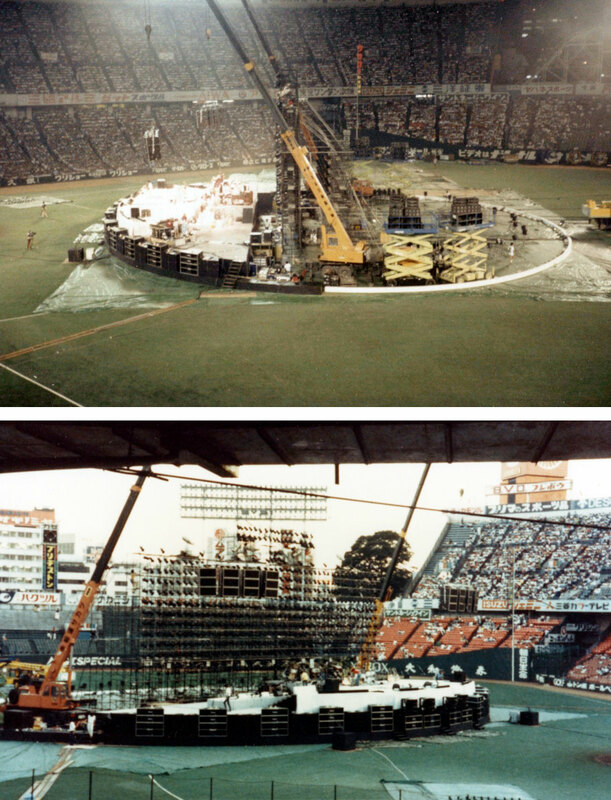 Korakuen Stadium was located in Tokyo, until its demolition in 1987. Our photos are unfortunately very low resolution Better photos and additional information would be most appreciated.